Call it buzz. Call it sizzle. Call it Music City mojo. 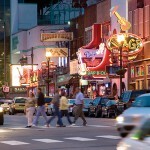 By almost any measure, Nashville is an It City. Publications from The New York Times to GQ, Southern Living to Rolling Stone and Bon Appetit to Business Insider have sung its praises. 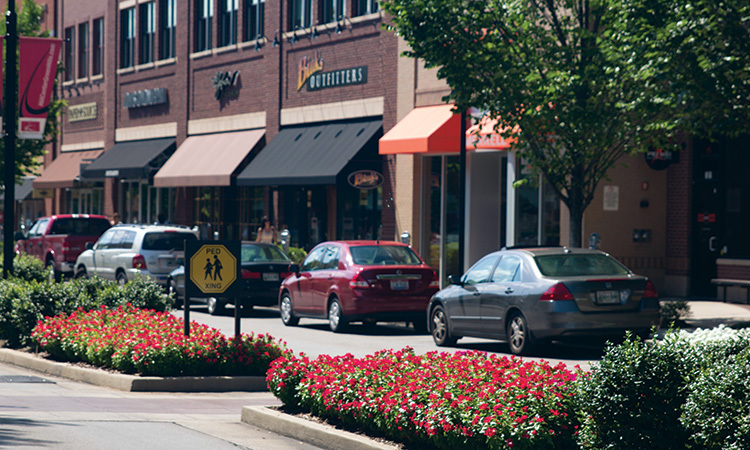 Revitalized shops and restaurants along historic Broadway reflect in a panoramic view of the new growth in downtown Nashville. Our branding may still have country music at its core (and given the long, loving establishment shots airing weekly on the ABC series that bears its name, who’s complaining? ), but it now includes professional sports, the health care and automotive industries, world-class education, fine dining, upscale downtown living and an explosion of entrepreneurship. Combine those with a reputation for safety and civility, and you’ve got everything any convention and visitors bureau might want. Sarah Trahern, EMBA’04, says that the tie between business and the music industry is one of Nashville’s strong points. A key component is health care, and there are few stronger examples of synergy than Bernard Health, conceived by Alex Tolbert, JD/MBA’07, in a health law class. The Nashville-based company offers health care planning and advice to individuals and corporations. Alex Tolbert, JD/MBA’07, combined two of Nashville’s strengths, health care and entrepreneurship, when he founded Bernard Health. Attracted to the city while visiting his brother, who attended Vanderbilt, Tolbert “got really passionate about the misalignments in health care” while at Owen. He focused on health savings accounts, and when someone asked how he could start a business without raising initial outside capital, “I said I would get my insurance brokerage license and start calling on employers in Nashville to help them understand how HSAs might work for them and their employees,” he says. Bernard became a reality during his last year at Vanderbilt, and he is quick to praise the school’s atmosphere. Health care strategy is a must for businesses and individuals alike, and the Owen School’s role in preparing industry leaders since launching its Health Care MBA in 2005 makes it a key player. 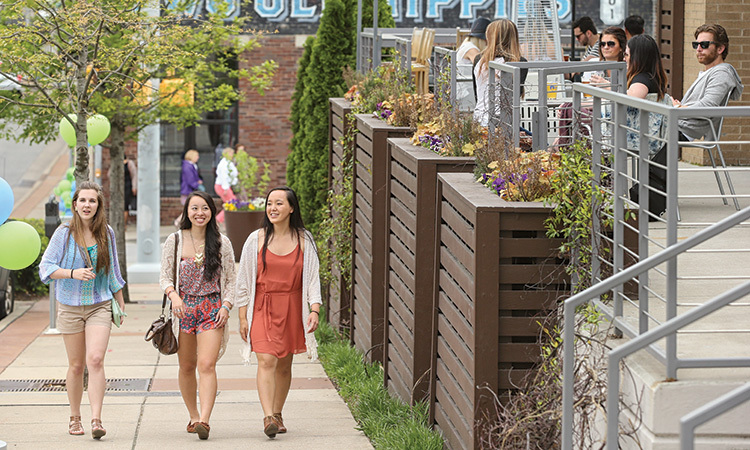 High-rises, restaurants and eclectic shopping thrive in the area known as the Gulch. 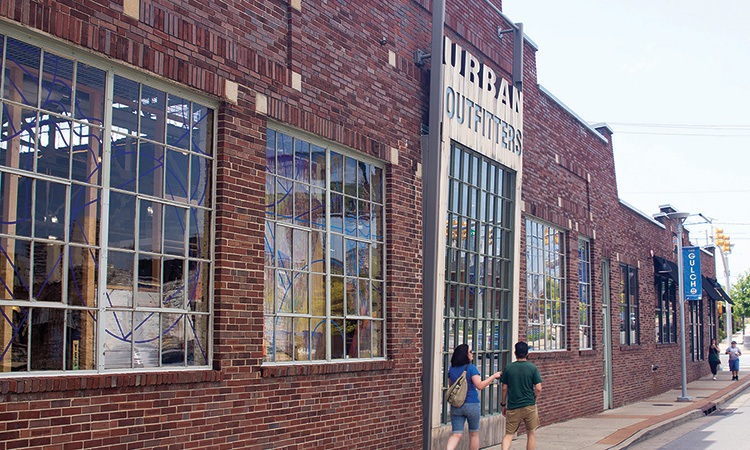 The Gulch has a reputation as one of Nashville’s hippest areas. 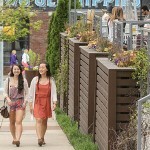 It mixes residential living with cool retail, dining and entertainment choices. The neon lights are bright on Broadway. The once-avoided area bustles with activity almost 24/7. Hill Center Green Hills was one of the area’s first mixed-use projects. 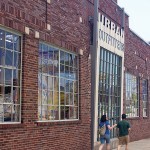 It combines retail, dining and office space with an emphasis on walkability and neighborhood culture. 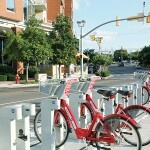 One alternative to downtown traffic and parking rates is B-cycle Bikes, a bike-share system. Nashville now has two major league sports teams. 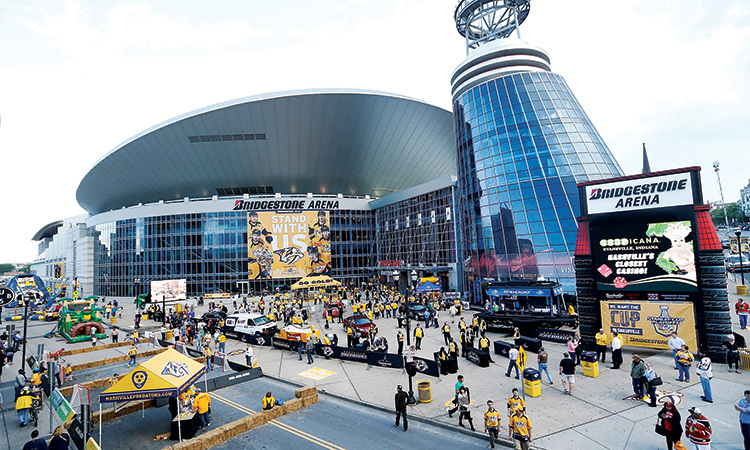 The Nashville Predators brought the 2015 Stanley Cup Playoffs to the Bridgestone Arena. The possibilities of a wider back-and-forth between industries are part of the approach of Van Tucker, EMBA’96, a consulting strategist and entrepreneur with a background in banking and finance. She’s now CEO of Fierce Company, which helps creative companies build business infrastructure around their products or ideas. Tucker is also CEO of the Nashville Fashion Alliance, a trade association for the city’s burgeoning fashion industry—an industry driven by the city’s attractiveness to young, educated professionals. She cites yet another example of synergy in the way the group draws inspiration from the music industry. The CMA’s Trahern can attest to the success of the Bradley/Atkins model. Nashville’s history as a seat of government and education goes back to the 19th century, but country music is the foundation of its reputation. While the economics are tricky in an era of downloading, the brand has never been stronger. The genre is played on 2,200 radio stations, and the CMA’s three major network television specials get great ratings. 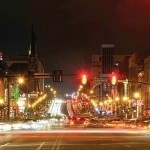 Those, along with the series Nashville and the presence of Blake Shelton and Keith Urban on The Voice and American Idol, respectively, all contribute to the city’s image. Extending that reach is among Trahern’s main goals. “I love being able to spend time anchoring the CMA and country music into the fabric of the community as a whole,” says Trahern, who is also a board member of the Monroe Carell Jr. Children’s Hospital at Vanderbilt. She cites the work of Dr. Jeff Balser, Vice Chancellor for Health Affairs and Dean of the School of Medicine and Vanderbilt Medical Center in helping the CMA create Instrumental Health Care, which gives musicians and songwriters the opportunity to get health insurance. Nashville’s mix of creative talent, established industries and capital sources makes it attractive to startups, says Vic Gotto, MBA’02. Like Tucker, Vic Gatto, MBA’02, CEO of Jumpstart Foundry, a health care business accelerator, and a partner in Solidus, an investment partnership, sees the city’s future in youth and creativity—places where Vanderbilt is well-positioned. It’s a dynamic that established companies appreciate as well. 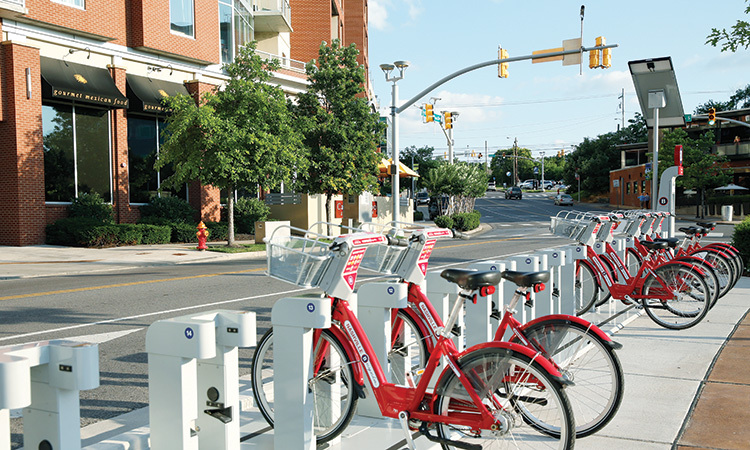 Bridgestone Americas, long a Nashville presence, announced last November that it would relocate its headquarters and move three out-of-state businesses to a new facility downtown, ultimately installing more than 1,700 employees in the vibrant, growing SoBro district. It helps that so many regional firms weave themselves into the structure of secondary and post-secondary education. Jennifer Hill, a 2015 MBA for Executives graduate, is manager of process control engineering at Nissan North America in Smyrna, Tennessee. Hill is adamant about reaching out, particularly to young women and encouraging STEM careers. 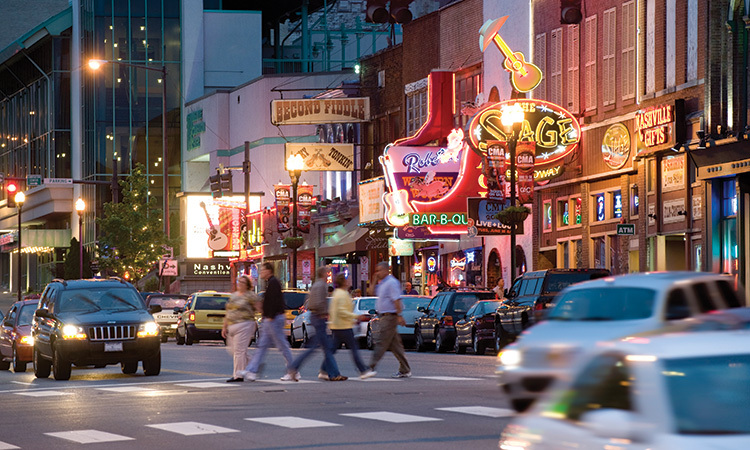 Is Nashville the new auto capital of the country? Ask Jennifer Hill, EMBA’15, who works as a process engineering manager at the Nissan Smyrna assembly plant. In 2006, Nissan moved its entire U.S. headquarters to the Nashville area. The It City appellation is one that resonates strongly with her. 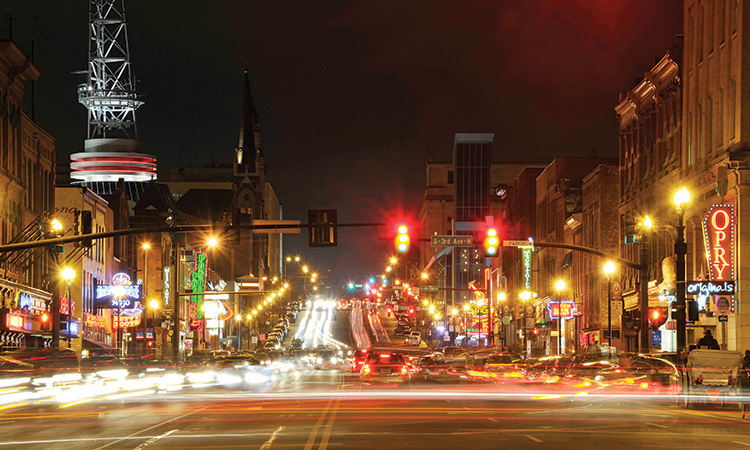 The confluence of industry and culture and the influx of people that makes Nashville a truly multidimensional and rapidly growing city provides challenges along with the opportunities. Helping companies negotiate those challenges is something Johnson sees as a clear part of Owen’s role. “We see tremendous opportunity partnering with companies to supply their management needs,” he says. Veteran hospitality entrepreneur Rich May, EMBA’87, is an investing partner, consultant and adviser in local coffeehouse Frothy Monkey and other restaurants in the region. The ties between Owen, the city and the wide-ranging industries and demographics that comprise it seem to undergird the sound basics behind Nashville’s image. Looking back, it’s hard to remember what Nashville was like in a few decades back. Here’s a refresher course. Nighttime messages spelled out in the Tennessee Tower’s windows delight. Maude’s Courtyard, Jimmy Kelly’s and the Stockyard lead the power lunch brigade. 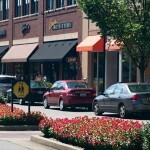 Popular gathering spots include Pancake Pantry, Lums, TGI Fridays, The Villager, Spats, Mack’s and Candyland/Vandyland. Pro baseball comes to Nashville with the new Nashville Sounds farm team in the spanking new Herschel Greer Stadium. East Nashville? No one goes there. Lower Broadway has seen better days. There’s talk of tearing down the Ryman Auditorium. Strip bars and tacky tourist shops flourish along Lower Broadway. See and be seen at Arthur’s and Houston’s. The Cooker and IHOP are standards, and San Antonio Taco Company makes its debut. Singer songwriters ply their trade at The Bluebird Cafe. The Batman Building rises, making Nashville’s skyline unmistakable. The restored Ryman reopens and sees The Boss, Elvis Costello and a legion of country stars take the stage as Lower Broadway begins its renaissance. Sunset Grille quickly becomes a Hillsboro Village fixture. 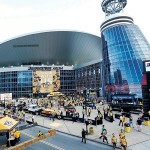 Doubters shake their heads as the NHL Nashville Predators arrive and the Houston Oilers relocate to Nashville. Sylvan Park, East Nashville and 12South are the hot new neighborhoods. The Bound’ry and Mirror top the list of popular spots. The acoustically excellent Schermerhorn Symphony Center opens south of Broadway, sparking that area’s revival. The Music City Miracle advances the Tennessee Titans into the playoffs and the Super Bowl. The new Music City Center now anchors SoBro. Cranes all over town speak to the construction boom. The city is an eater’s paradise—chefs at Husk, City House, Rolf and Daughters and Catbird Seat win national acclaim. Locals find reservations have become a must. The Predators make the playoffs, the Titans take a Heisman-winning QB in the first round, and the Sounds christen a new downtown baseball stadium. Some things never change. SATCO and Pancake Pantry still draw lines. The Bluebird, a prominent feature of the Nashville TV show, is still the place to hear music.